Railway minister Piyush Goyal gets trolled on Twitter for sharing fast forward video of Train 18: Many people said the clip was doctored as the speed of the train shown in the video didn't match to a similar video shared by Twitter user Abhishek Jaiswal on YouTube. File photo of Union Railway Minister Piyush Goyal. 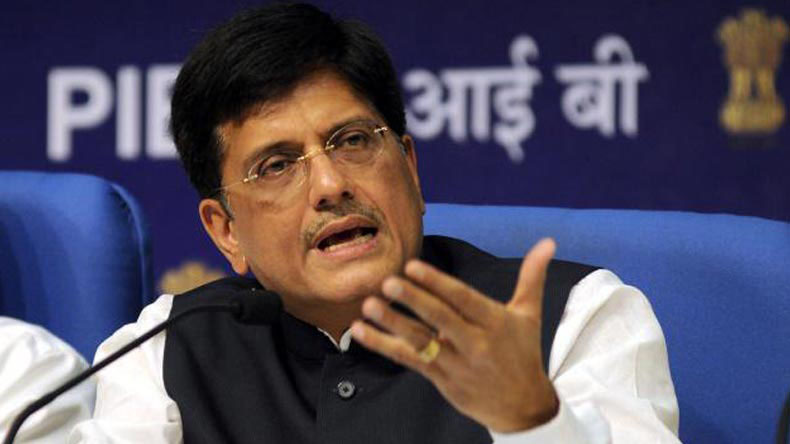 Railway minister Piyush Goyal gets trolled on Twitter for sharing fast forward video of Train 18: Union Railway Minister Piyush Goyal got trolled on Twitter for reportedly showing a video of semi-high speed train Vande Bharat Express passing through a station like a high-speed bullet train, reports said on Monday. Many people said the clip was doctored as the speed of the train shown in the video didn’t match to a similar video shared by Twitter user Abhishek Jaiswal on YouTube. Taking to Twitter, Goyal said: It’s a bird…It’s a plane…Watch India’s first semi-high speed train built under ‘Make in India’ initiative, Vande Bharat Express zooming past at lightning speed. Though, Goyal clearly said it was “India’s first semi-high speed train”, his comparison of the semi-high speed train with bird and plane and the video, which was edited to play in fast forward mode, certainly hasn’t gone down well with the Twitterati. Jaiswal claimed he was the first person to share the original video on Twitter and said that the speed of the video has been fast forwarded to give an impression that the Vande Bharat Express is moving like a bullet train. To substantiate his claim, Jaiswal also shared a link that redirected to a video on YouTube channel The Rail Mail. The video, which has 439,715 views, was uploaded on YouTube on December 20, 2018. The caption said the video was recorded during the second trial run of Train18 on Delhi-Agra route and it achieved a maximum speed of 181 kmph. Reports said the same video was also shared by BJP’s National General Secretary Ram Madhav and had gone viral. JIPMER 2019: How to register for BSc, MSc, M.P.H., PBD, PGD, PGF and Ph.D. courses?